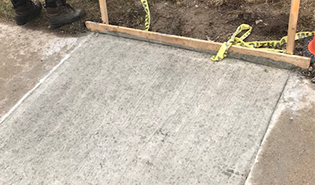 With over 20 years of concrete and asphalt experience, Hussky Asphalt has become a leading provider of quality paving work in the Greater Toronto Area. We ensure our clients get a job well done, like it was in the old days. 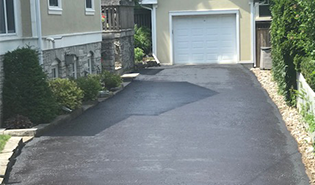 One of the ways our paving jobs stand out from others is our commitment to using a thicker layer of asphalt so that your driveway can stand up to the harsh Canadian weather. We service Burlington, Oakville, Hamilton and the western part of the Greater Toronto Area. Your driveway is an important element in your home’s curb appeal. Driveways that are installed correctly with material that is capable of standing up to the Canadian weather will provide a great aesthetic to visitors. It will also give homeowners confidence in their property. The condition of your parking lot says a lot to customers. 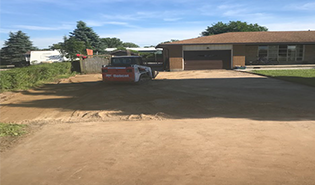 A well-paved and maintained lot is inviting and customers will be more likely to stay, while that has many cracks and is in need of repair will appear uninviting to drivers. 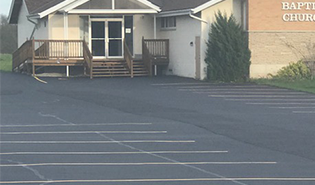 Roads and parking lots require regular maintenance such as line painting to mark lanes and spaces so that drivers are able to see where they are permitted to drive or park. 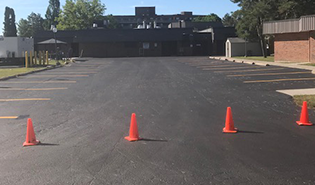 Marking spaces in a parking lot for disabled drivers or for loading zones is one of the services that Hussky Asphalt has been doing since 1994. 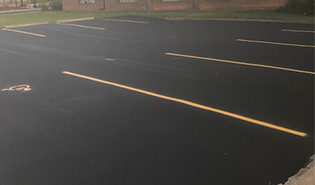 Keeping a parking lot looking inviting for customers may involve doing repairs like sealing any cracks that have developed, sealcoating or even patching and repairing damaged asphalt. One of the best ways to add extra protection to your driveway is to apply a sealer. This can help your asphalt stand up to harsh weather that can cause cracking, dipping or sagging or even water damage. 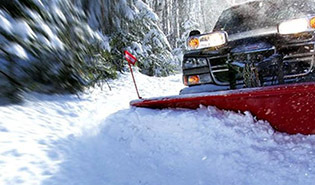 It can also give your driveways some added strength against everyday wear and tear. 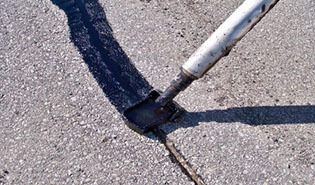 To give your asphalt driveway a longer life, hot rubber can be used to fill and repair any cracks that have developed. This method allows the rubber material to expand and contract with the crack. This is why it is the best choice for asphalt repairs. Homeowners looking for a creative way to add aesthetic appeal to their property may want to install some concrete landscape borders. 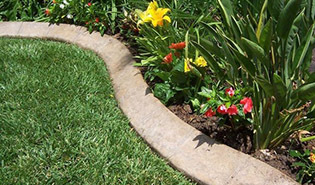 These borders can be decorative by using stamped or dyed concrete. Walkways and sidewalks are a beautiful addition to your property. With the right materials they can also last a long time providing you and your guests a safe walk to and from your front door. Depending on your preferences, stamped concrete can give your sidewalk a unique, attractive feel that adds to your home’s curb appeal. 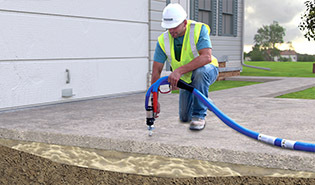 Concrete lifting, often called mud jacking, is a repair procedure that can fix uneven concrete. The basic idea is to change the foundation so that the concrete becomes more level. This technique can help repair concrete at homes, businesses, roads and more. We take snow removal seriously. Whether it’s for your home or your business, you can count on us to keep your parking lot, driveway and walkways clear and safe for the winter. Of course, we also spread salt or sand depending on your preference and the temperatures at the time. While salt is very effective, at temperatures below -15 degrees Celsius salt fails to melt the ice and snow making sand the better product.